The battle of the 3.5mm headphone jack has been ongoing, with proponents of both wireless, Bluetooth and headphone jack advocates in deep discussion about whether or not Samsung would continue the feature in the Galaxy S8 since a number of companies such as Motorola, Apple, and even HTC are discontinuing it in smartphones such as the Moto Z, iPhone 7 and iPhone 7 Plus, and the HTC Bolt. We said several weeks ago that there was a strong possibility that the Galaxy S8 would lack the long-cherished 3.5mm headphone jack. Today’s leak, courtesy of Slashleaks, shows an interesting conclusion on the headphone jack/ no jack debate. 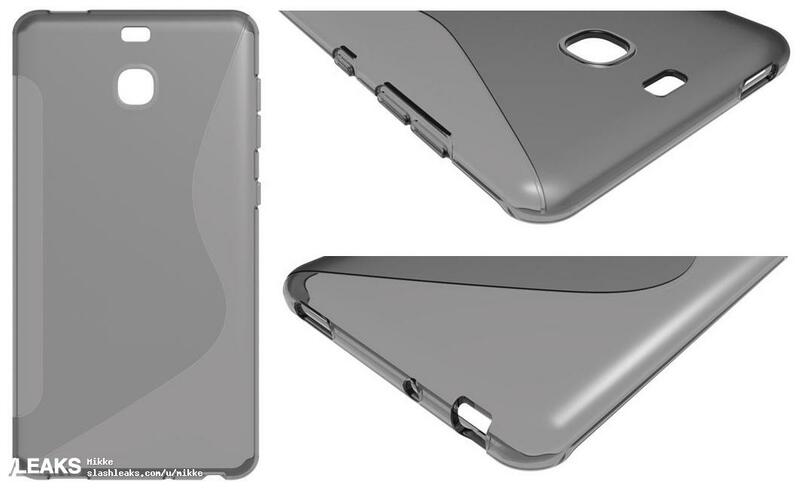 The case leaked shows some design changes that will differ from the Galaxy S7, S7 edge, and now-deceased Galaxy Note 7. First, there will be three buttons on the left side of the phone (Volume Up, Volume Down, Power/Standby), which matches a case render from Ghostek showing three left-side buttons. Next, there is the camera on the back in its usual cutout spot, with a slight slot above it that may refer to a flash/heart rate monitor slot. Of course, it is in a different position than that of the Galaxy S7 and S7 edge, but it’s there. This differs from the Ghostek render we saw earlier, however, so there are still some questions about the Galaxy S8 that need sorting out. The microSD card slot returns to the Galaxy S8 at the top, so Samsung is set on giving the microSD card a much-welcomed return. The most interesting examination of this new Galaxy S8 case shows the bottom of the case (finally!) featuring the USB-C port on the far bottom right as opposed to the bottom middle (continuing the USB-C port found in the Note 7, and – to the celebration of many – the 3.5mm headphone jack is returning. The speaker is placed on the far left, a change from the right-side speaker found in Samsung’s 2016 Galaxy lineup. What we can draw from this as opposed to the Ghostek render is that casemakers are always producing renders based on rumors and what they deem as credible information. Though I’m inclined to agree with Slashleaks and his case photos as regarding the Galaxy S8, some things will remain up in the air until more information surfaces. 2.5 mm instead of 3.5 mm headphone jack? Thank you Sammy for retaining it! s-pen on Galaxy S series? Will it be an exception for S8 (because of Note fiasco) or will it continue henceforth on every Galaxy S device? I hope it’s true that all buttons is on 1 side 🙂 hope rather right side, cause one finger using then more user friendly when phone in a case. The cut at the top does look like a top speaker like in the iPhone. I would doubt you need a slot for the micro SD as it’s not something you take out often. as i see this photo , it looks like stereo speakers one at up and other at down and both at same line , a usb type C and an audio jack 3.5 mm . who agree ? S-spen is for Note Series. This is a Galaxy S8. The cut outs towards the left on the top and bottom are identical, which hopefully points to stereo speakers. And the others don’t look like any sort of port for charging. despite this render, its all a bit of a mystery still. Excited for April though, when do invites normally get sent out for the event? It looks like too small of a hole for a headphone jack. It looks more like a microphone cutout to me. Either way, I can’t wait for the official unveiling! Obviously it’s a 2.5mm jack isntead of a 3.5mm. Interesting render! I like the idea of having all the physical buttons on one location. I still believe that Samsung will remove the headphone jack, however. More and more manufacturers are going to abandon it in 2017 and I think that Samsung doesn’t want to be “left out” by keeping a “dying” piece of tech. Looking forward to everything reported so far! 3.5mm or spen :O ?????????? IR blaster at the top? USB-C was obvious and I think it is too soon for them to drop the headphone jack as they did scald other manufacturers for removing it. Hmm, It doesn’t look big enough to be a speaker cutout though and it’s also on the opposite corner to the other speaker.